Why, oh why, is Audible just now getting this author's books?! The characters are well-developed, the magic VERY different and imaginative (so hard to find in PNR's), and the plots intriguing. The narration is simply marvelous! William MacLeod has a deep voice with a great Scottish accent but somehow his female voices, even in an American accent, don't have a trace of gravel! And he truly acts with his voice while narrating, Since I only listen to audiobooks I had not encountered Hazel Hunter before this summer. If you enjoy PNR, time travel or highlanders please get this book and rate it. We must encourage continuing production of this author's prolific backlist on audio! If the rest of her series are as enjoyable as this one we will have many hours of terrific listening. I was intrigued and enthralled! What a wonderful story! I was enthralled and intrigued from the very beginning. The author has a wonderful writing style that drew me into the heroine's dilemma and made me care deeply about the characters. Although the ending may seem predictable it was handled in such a way that you almost weren't sure that THIS historical romance would actually end with a HEA. I found the narration to be a bit slow in the beginning and would have liked more expression in the narrator's voice. I have heard her narrate other books where an American accent was called for and her reading of those books was much more expressive. I am not sure if it was the British accents that caused the reduced emotion in her voice or her interpretation of the tone of the story. I did become accustomed to it and it didn't detract from the story but neither did it add much. I received a free copy of this audiobook from the author/narrator through audioblast in exchange for my honest review. Sassy Winthrop has just turned 21. But instead of being a time of fun, parties, and courting, it has been a time of loss, grief, and transitions. With the death of her beloved father, a kindly country vicar, Sassy is left not only without immediate family, but she must also leave the only home she has ever known to make room for the new vicar. And if that weren’t enough, she is also going through transition as her powers of light magic are completed. This book is a fun blend of romance and mystery. I thoroughly enjoyed the plot! However, it is fortunate that the story was so wonderful because otherwise I could never have finished listening! I have several thousand books in my library and am very accepting of most narrators BUT narrators should KNOW how to pronounce words. The hero in this story is a marquis. This word has a couple of different pronunciations with the accent on different syllables in English and French but to combine the two into mar-KWEES was intolerable.And the word was used ALOT! Partway throug, an editor must have wandered by her recording booth and cringed because the word got a little better. Also having listened to hundreds of historicals I have NEVER heard the word livery pronounced as LIE-ve-ry regardless of the narrators accent. There are other examples. Her accent was very good for the serving maids but remained the same for the aristocracy. I understand that acting with the voice is the most important part of narrating but couldn't they ask the people to look through the book first and check a dictionary for words they might not be sure of?! Or have an editor check at least the first few paragraphs to insure that one of the most-repeated words in the book is not being completely mangled? I appreciate the speed with which audiobooks are becoming available but narrators must be a bit literate. I listen to an audiobook every day for at least eight hours. I have a strong preference for historical romance and have enjoyed some paranormal writers but don't care much for contemporary romances or "chick-lit". Then I found the Sullivans! These stories are wonderful. Bella Andre managed to write love stories for eight siblings, each unique and entertaining. The characters are well-developed and the stories are narrated well. If you usually don't like novels written in current times I highly recommend trying this series for something different! Great Writers Don't Need 8 Hours!! I almost never download novellas. I am inevitably disappointed, feeling as though 3 or 4 hours simply doesn't allow enough time for an author to fully entice me into caring for the characters. The plots often feel truncated. 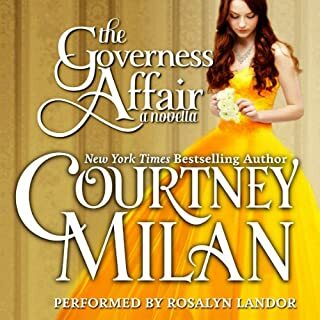 But because I have so much enjoyed Courtney Milan's novels I bought this as soon as it was released. Then it sat on my MP3 player for months and I skimmed over the title again and again. Last night my computer was down and this was all I had left that at all appealed... Thank you computer! Simply stated - this was wonderful! I winced, I filled with ire, I smiled, I sighed and at the end I grinned as I experienced that wonderful feeling of satisfaction that comes from listening to one of the good ones! Once upon a time...as a fair maiden lay weeping upon a cold tombstone, her heartfelt desire was suddenly made real before her: Tall, broad of shoulder, attired in gleaming silver and gold, her knight in shining armor had come to rescue his damsel in distress.... 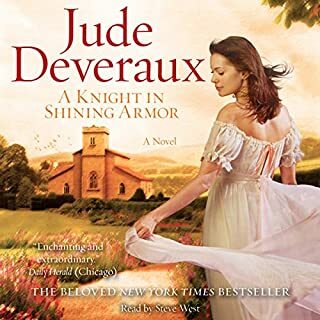 Hailed worldwide as one of the most romantic novels of all time, Jude Deveraux's dazzling best seller "will capture your heart - and hold it" ( Daily Herald, Chicago) with its breathtaking tale. I have waited for YEARS for an unabridged version of this book to be produced and had begun to give up hope. With all the mediocre books being recorded at a dizzying rate these days it seems many great earlier works by authors are not prioritized. Thank the romance gods that this classic has been given its due. The narration is magnificent and the story still breathtakingly beautiful. 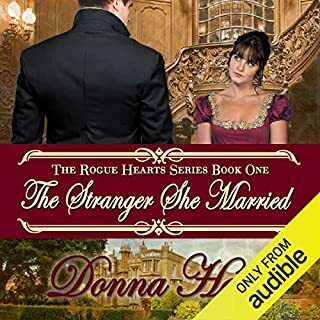 If you have read the story I can assure you that it is even more wonderful in audio, if not, please DO NOT MISS one of the best romance novels ever written! I listen to an audiobook every two days and have never written a review but felt compelled to warn others. I am very adaptable when it comes to narrators' voices and can almost always get used to a voice that bothers me at the start of a book. I certainly appreciate excellent narration but rarely get stirred up by less than stellar performances. This, however, was appalling!! 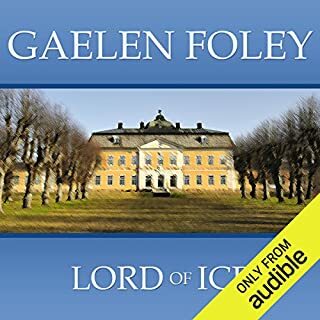 I have been anticipating Ms. Foley's books being released in audio for a long time and have even corresponded with the author but if Ms. Greene narrates more of this series I will not be listening. The female voices were good, many of the male voices acceptable, but the hero's voice, described as a baritone, sounded more like a passionless, snobby woman. Truly awful. I know that narrators can be an individual preference but I sincerely doubt many will find this appealing. I hope that the low ratings don't deter other books in this series from being produced so long as narrators change.